TRACKER ULTRA billing machines are designed for retail cash billing at sales outlets that require extra power to do more. Serves as an able companion for stand-alone and networked outlets. TRACKER TAB is an Android tablet based POS / Billing machine that leverages the Tablet and Android platforms to provide high end features at affordable cost. It is equipped with an inbuilt printer and battery to provide a seamless interface. 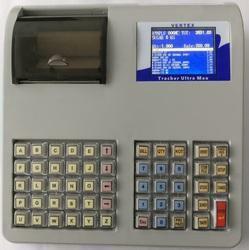 TRACKER PRO Cash registers are designed for retail cash billing at sales outlets. It incorporates a host of features for a variety of business like hotels, petrol pumps, groceries, bakeries, poultries etc. TRACKER PRO brings you high performance and reliability on a state of the art hardware platform and lets you automate your business with ease. TRACKER MINI is an ideal companion for small and medium retail outlets for billing, accounting and beyond. 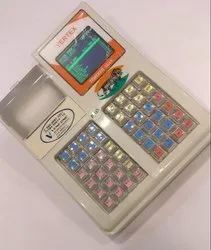 The basic model with large display, USB pen drive support, weighing machine interface, language printing etc., comes with a host of features that would delight you all the way. Advance variants have features like SMS alert, larger printer support etc. designed on a robust platform with Industrial grade components, TRACKER MINI is built for lasting performance. With assured long term support and ease of use, you will find complete value in a complete value in a compact foot print. ü Single tax or item wise tax. Single discount or item wise discount. usb pendrive port to store data, can connect external pc keyboard, language printing, pc / mobile software for data collection / online data transfer both ways through gprs. tracker tab is an android tablet based pos /billing machine that leverages the tablet and android platforms to provide high end features at affordable cost. It is equipped with an inbuilt printer and battery to provide a seamless interface. ø single tax or item wise tax. Single discount or item wise discount. Tracker mini is an ideal companion for small and medium retail outlets for billing, accounting and beyond. 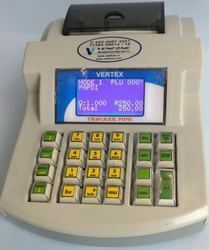 The basic model with large display, usb pen drive support, weighing machine interface, language printing etc. , comes with a host of features that would delight you all the way. Advanced variants have features like sms alert, larger printer support etc. Designed on a robust platform with industrial grade components, tracker mini is built for lasting performance. With assured long term support and ease of use, you will find complete value in a compact foot print. Single tax or item wise tax. Single discount or item wise discount. 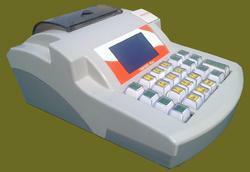 Looking for Electronic Billing Machine ?